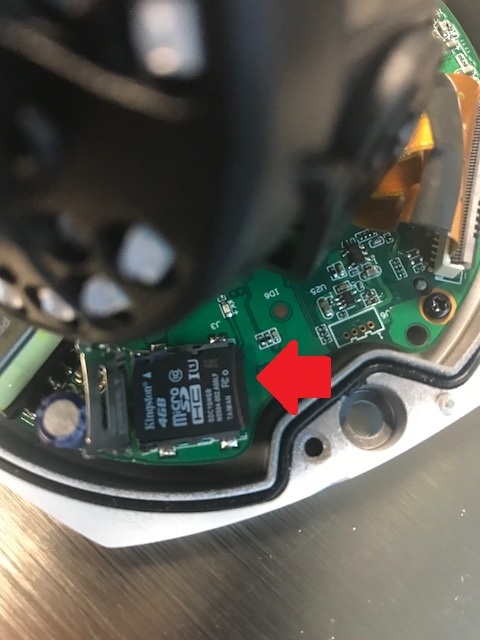 Once the micro SD card is inserted into the camera's SD card slot, please lower the SD card clasp. You will notice a "Lock" inscription on top of the clasp telling you to lock the SD card in place you will need to slide the clasp forward to lock the SD card to the locking pins. 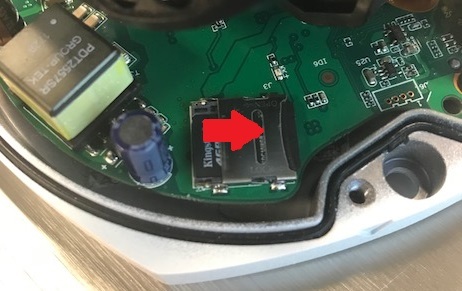 Please slide the clasp forward to lock the SD card to the locking pins. This will secure your SD card to the motherboard. 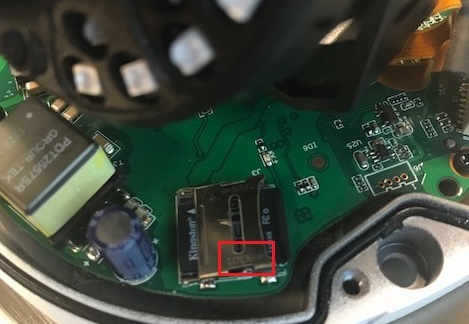 To unlock the SD card from its current position you will then slide the SD card slot clasp backward to release the SD card from its locking pins.